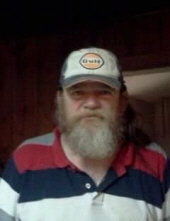 Mr. Gerry Kenneth Saltsman, age 67, of Gilmer, passed away on Thursday, January 31, 2019 at his home. A memorial visitation will be held from 6:00 to 8:00 PM on Monday,February 4, 2019 at Croley Funeral Home of Gilmer. Gerry was born in Portland, Oregon on January 14, 1952 to the late, Norman Kenneth Saltsman and Eileen Buchanon Williams. He was a Christian and worked as a Diesel Mechanic. Gerry loved to fish the lakes of Texas, especially Lake Livingston. He was a big kid at heart, with a generous, caring and playful spirit. He was a loving and devoted father and grandfather, ho never took life too seriously, unless he didn't have his coffee. He is preceded in death by his parents; and one brother, David Saltsman. He is survived by four sons, Gerry Kenneth “Kenny” Saltsman, Jr. of Houston, Scott Alan Saltsman and wife Joanna of Houston, Norman Kenneth Saltsman, II of Gilmer, Matthew Saltsman of Gilmer; three daughters, Regina Leann Smith of Houston, Jenney Kay Saltsman of Galveston, Sherri Renee Saltsman of Gilmer; four brothers, Robert Saltsman of Oxford, MS., Daniel Saltsman of Pasadena, John Saltsman and wife Kathy of Splendora, Terry Saltsman and wife Carolyn of Porter; four sisters, Becky Wells of Tampa, FL., Barbara Saltsman of Tennessee, Carol Medina and husband Jesse of Cleveland, Michelle Saltsman of San Antonio; eleven grandchildren, one great-great-granddaughter, and numerous nieces and nephews. To send flowers or a remembrance gift to the family of Gerry Saltsman, please visit our Tribute Store. "Email Address" would like to share the life celebration of Gerry Saltsman. Click on the "link" to go to share a favorite memory or leave a condolence message for the family.